This is adapted from a recipe on Epicurious.com, I however added a few changes. The people I served this with were from Europe and did not like Brussels Sprouts, but to my amazement they said this is the first time they enjoyed eating the little green buggers! 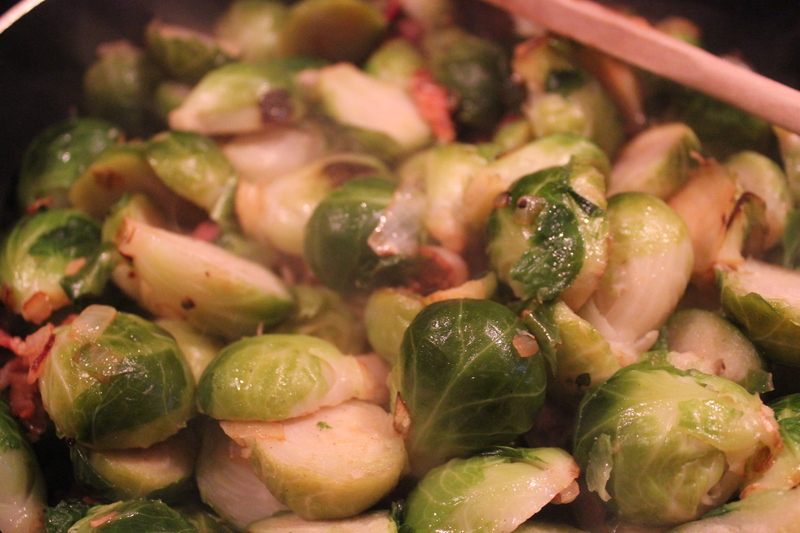 *Insert grin here* I love brussels sprouts and this was an easy and tasty way to serve them. PS they make a great snack the following day cold!